When is the last time you had your drain lines cleaned? 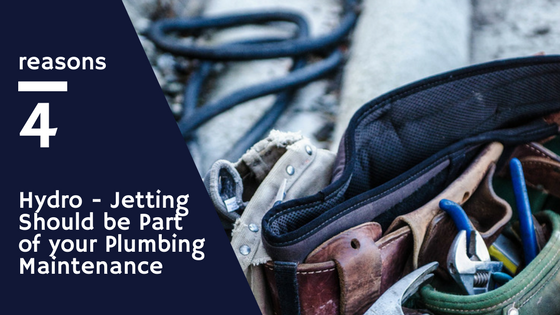 Most business owners, condo HOAs and municipal building superintendents don’t think about their drain lines until there’s a problem, and that can be a bad thing when it comes to making your drain lines last. Over time, small amounts of grease, soda, food particles and other items can get stuck in along the walls of your drain lines, and this can lead to slow drain or a complete blockage. Scheduling regular hydro-jet cleaning services can prevent these small build-ups from becoming costly and disgusting drain clogs. Over time, the material can build-up in drain lines, causing clogs and corrosion, especially if there is a lot of grease, oil, food particles or soda and beer dumped down the lines. Hydro-jetting your drain lines on a regular basis can remove the debris that causes clogs and corrosion before you notice there is a problem, and it can help extend the useful life of your drain lines. When you opt to use a snake to clear a clog, you are simply twisting a hole through the clog to help water flow down the pipe and into the sewer system. The walls of the pipe may still have grease and other material lining the edges that can trap new debris and quickly form another clog. Hydrojetting completely clears the clog and cleans the pipe down to the walls, which helps slow down the buildup of material that can lead to a clog. Hydro-jetting has even been known to blast away tree roots. Incorrectly using a snake or using drain cleaner and not thoroughly flushing the pipe can damage your drain lines, leading to holes and cracks. Hydro-jetting does not damage drain lines. Instead, the high-pressure water is pumped through the pipes at a rate that breaks apart and flushes clogs. Since hydro-jetting only uses high-pressure water, it is completely environmentally friendly. Once the clog and debris are flushed through the pipe, it enters the sewer system where it is treated by the city’s water treatment plant. There are no harsh chemicals involved in the process that could lead to soil or water contamination. Hydro-jetting is safe for all types of drain pipes, including cast iron and PVC. Hydro-jetting can even be used to clean out kitchen drain stacks. The only time hydro-jetting wouldn’t be recommended is if your pipes are extremely old and/or brittle, and accidentally damaging old pipes with the hydro-jet process is prevented by a pre-cleaning camera inspection. When it comes to properly maintaining your pipes and preventing near and distance future clogs, you can’t go wrong with a pipe cleaning and lining service from Nu Flow of Chicago. Propane hydro-jet machines have the ability to unclog and clean your drain pipes right down to the pipe walls, and propane power jetters can even be used on ozone action days because they do not cause excessive air pollution. 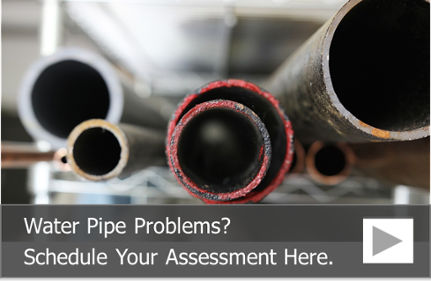 Once your building’s pipes are properly cleaned, prepared and dried, a new epoxy pipe liner can be inserted to help restore your pipes and prevent future pipe corrosion as well as chemical leeching from the metal walls of your pipes. This is a much cleaner and less costly way to rehabilitate your plumbing pipes.